We found a recipe for an asparagus pizza online and had to give it a try! All you need are the following items. Start off by preheating the oven to 450°. 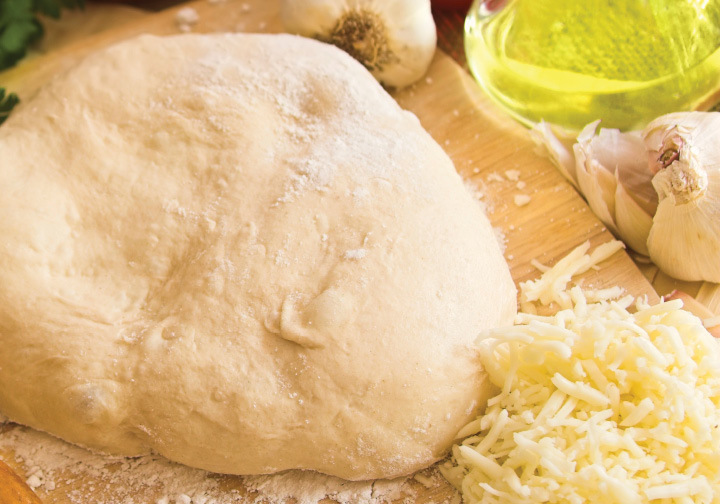 Then simply form your dough ball into a 16” diameter, use a glove to scoop out the garlic spread and place a thin layer on the pizza, disperse the broccoli across the top, sprinkle the cheese and then lay the tomatoes on top! Place the pizza in the oven for about 6 minutes (depending on your oven) and enjoy!